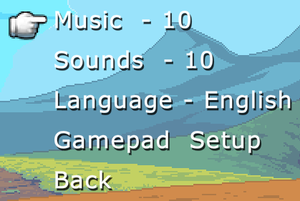 The game has got absolutely no settings options besides audio volume. Can be run without the Steam client. Press F11 to switch between modes. Window is fully resizeable. For Windows 8 and newer see Controller not found. The changelog as to which issues have been fixed can be found here. If you are using one of the chipsets mentioned on this page, this issue might not be fixable for you. Make sure Flash is installed and fully updated. This error sometimes appears as: "(null): Error: Error #####". Right click on the Flash content and click on "Settings...". Select the left most tab in the window that appears, called "Display". Ensure that the check box next to "Enable hardware acceleration" is checked. First, make sure you have the needed DirectX files, download and install the Windows DirectX End-User Runtime Web Installer. 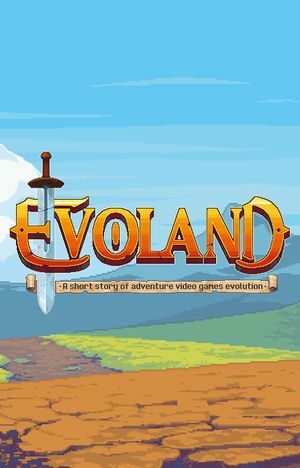 Find the Evoland.exe (<path-to-game>\Evoland.exe where it was installed) right click on it, click properties, go to the compatibility tab, set it to "Run this program as an administrator"
Find pad.exe in the same folder as Evoland.exe (<path-to-game>\pad.exe where the game was installed), right click on it, click properties, go to the compatibility tab, set it to "Run this program as an administrator"
↑ 1.0 1.1 File/folder structure within this directory reflects the path(s) listed for Windows and/or Steam game data (use Wine regedit to access Windows registry paths). Games with Steam Cloud support may store data in ~/.steam/steam/userdata/<user-id>/233470/ in addition to or instead of this directory. The app ID (233470) may differ in some cases. Treat backslashes as forward slashes. See the glossary page for details.